Photos of the suspect were released on the police department’s Facebook page on Wednesday. 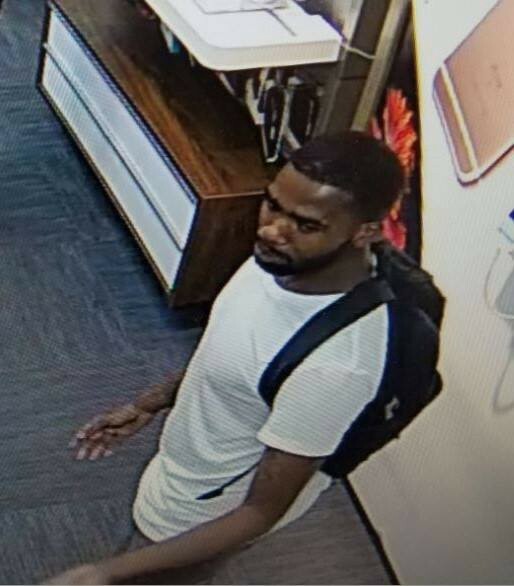 Cherry Hill Police are trying to identify a suspect recently involved in an incident at the AT&T store inside the Cherry Hill Mall. Police released surveillance photos of the suspect on social media Wednesday afternoon. The man is shown wearing a white t-shirt with a black backpack over this shoulders. Details on the incident were not released. Anyone with information on the suspect can contact Cherry Hill Police detectives at (856) 488–7833. Information can also be provided anonymously at tips@cherryhillpolice.com.